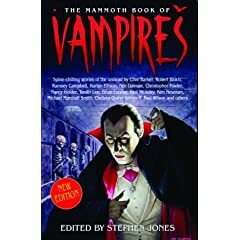 The Mammoth Book of Vampires edited by Stephen Jones was pretty good as far as story collections go. Some of the stories weren't really what I would consider to be vampire stories, and some just didn't make sense, but there were some stories that were true vampire stories. I mean, they gave me nightmares at night. Which is pretty much my idea of a good horror story. So if you're looking for good horror stories to keep you up at night, or just different variations of the original vampire myth. Then this book is perfect for you. Some of the authors include Edgar Allen Poe, Sir Arthur Conan Doyle, Anne Rice, and many other notable authors. I highly recommend this book! 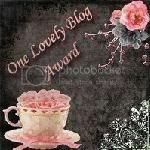 Congratulations to Shawna for winning last month's Blast From the Past Giveaway! If you could contact me with your mailing information that would be wonderful. I'm sorry to everyone who entered for the long wait, I was on vacation with no computer for a while. But the next giveaway will be up shortly! What-the-Dickens by Gregory Maguire is an interesting spin on the classic story of the tooth fairy. Orphaned at birth, a young skibereen named What-the-Dickens doesn't know who he is or where he came from. In his wanderings he meets another skibereen, Pepper, who takes him back to her colony to learn who he truly is. It was a very interesting book, however it was not one of Maguire's better works. It was a good read and kept me captivated, but some parts were repetitive and childish which made it boring at times. All in all, however, a very enjoyable book I would recomend to anyone who likes to put a twist on a conventional story. Matteo Alacrán was not born; he was harvested. His DNA came from El Patrón, lord of a country called Opium -- a strip of poppy fields lying between the United States and what was once called Mexico. Matt's first cell split and divided inside a petri dish. Then he was placed in the womb of a cow, where he continued the miraculous journey from embryo to fetus to baby. He is a boy now, but most consider him a monster -- except for El Patrón. El Patrón loves Matt as he loves himself, because Matt is himself. As Matt struggles to understand his existence, he is threatened by a sinister cast of characters, including El Patrón's power-hungry family, and he is surrounded by a dangerous army of bodyguards. Escape is the only chance Matt has to survive. But escape from the Alacran Estate is no guarantee of freedom, because Matt is marked by his difference in ways he doesn't even suspect. Scarlet by Stephen R. Lawhead is the thrilling second book in his King Raven Trilogy which follows the adventures of the legendary Robin Hood. After losing everything he owns, forester Will Scarlet embarks on a search for none other than King Raven, whose exploits have already become legendary. After fulfilling his quest--and proving himself a skilled and loyal companion--Will joins the heroic archer and his men. Now, however, Will is in prison for a crime he did not commit. His sentence is death by hanging--unless he delivers King Raven and his band of cohorts. That, of course, he will never do. Wales is slowly falling under the control of the invading Normans, and King William the Red has given his ruthless barons control of the land. In desperation, the people turn to King Raven and his men for justice and survival in the face of the ever-growing onslaught. From deep in the forest they form a daring plan for deliverance, knowing that failure means death for them all. This book was very good and kept me interested so I never wanted to put it down. The beginning was slightly confusing as it started out in the middle of the story with Will Scarlet telling his tale from prison to a monk. But this is a series I would recommend to anyone familiar with the original tale of Robin Hood or anyone who loves fantasy. Congratulations Laina. You have one week to e-mail me your contact info so I can send you your book. Thanks to everyone else for playing and I hope you enter the next Blast From the Past giveaway!